Blasting pressures up to 130psi (with a high pressure compressor)! 400 pound media capacity and 80 gallon water tank. Capable of blasting up to 300 feet from the machine. Master control and self-venting pot – new for 2014! Intuitive, easy-to-use controls with prominent emergency stop. Larger fork pockets for industrial forklift use. 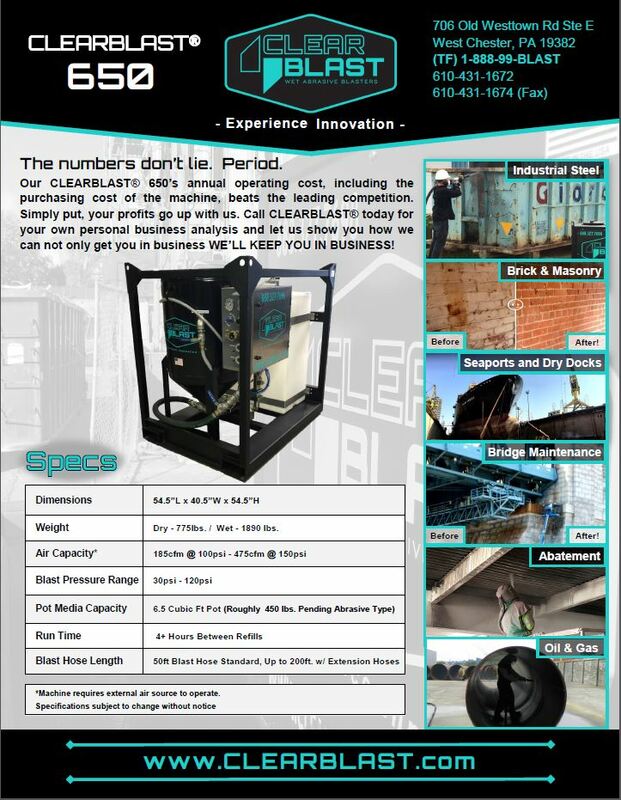 Air and water filtration for maximum uptime! 1 1/2″ blast hose and #8 XL nozzle giving you maximum performance. 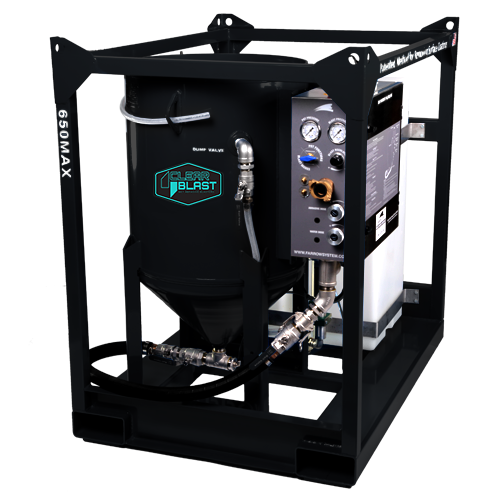 High-pressure components enabling use of 150+ psi compressors. High capacity pot giving you over 4 hours of blasting. 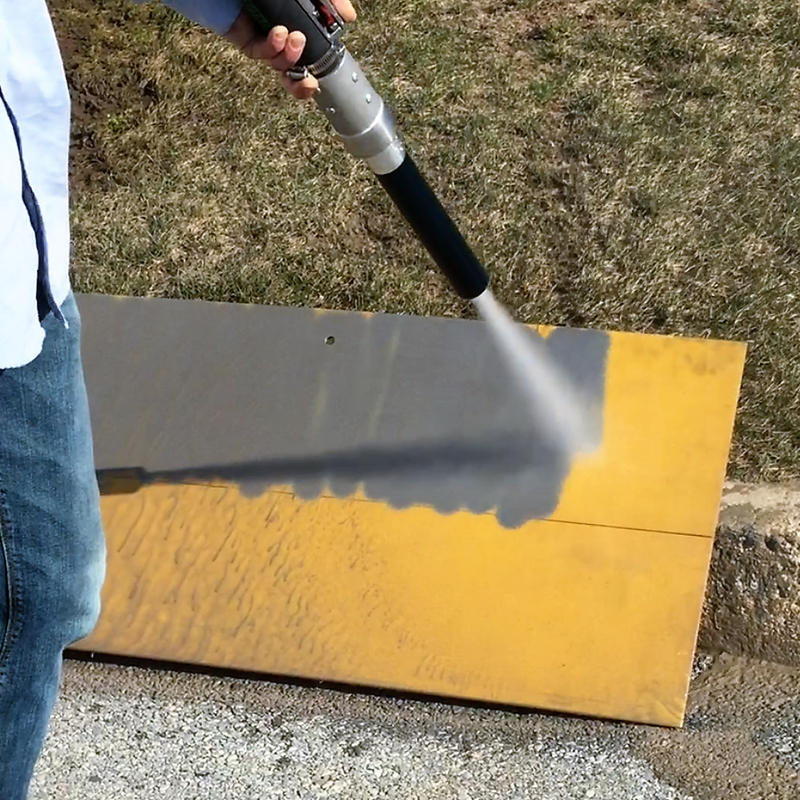 Blasting range of 30-130 psi, enabling gentle cleaning to aggressive profiling. Massive, solid steel crash cage with full coverage powder coating. Pot powder coated inside and out. Heavy-duty solid stainless steel fittings. Pot Media Capacity 450 lbs. *Please see complete warranty for details.